I want to introduce you to some of the members of my favorite family. It all started off when Henri II of France seriously needed money to pay for his many wars. 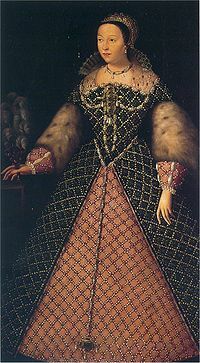 He got quite a large dowry from the de Medici family by marrying Catherina de Medici. Henri II was a typical Frenchman in that he loved sport and women. Poor Catherine had to play second fiddle to Diane de Poitiers (who, by the way was also his father’s mistress, she must have been formidable, but she was Henri’s friend and confidante too). Here i want to mention a lovely story of a precious string of pearls that were part of the dowry Catherine brought with her. She is wearing them in the portrait painted by Germain le Mannier. When the young Francois II is betrothed to Mary, the eldest daughter of Henry VIII of England, she received the pearls as a gift from her mother-in -aw. On Mary’s death the pearls go to Elizabeth I. Unfortunately for Diane the dashing king is seriously wounded during a jousting tournament by his friend the count Gabriel de Montgomery. A large piece of wooden splinter pierced the eye socket of the King, and for 10 days he suffered the in the most agonizing way while the doctors tried to remove it. On his death Catherine immediately got rid of Diane, and whatever you know about Catherine, one thing is certain – she lived for her children, and did any and everything to ensure their futures as kings of France. Because Francis was still underage, Catherine becomes the Regent, and starts to exert her strong will on him and the government of the country. 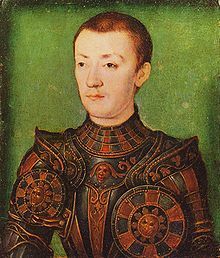 Francis dies young (he was always a sickly child) and the second of Catherine’s children becomes King, Charles IX. Here you have to go take out a video of the French film Reine Margo (Queen Margo). Because of all the religious wars still going on, this is the time of the Reformation wars throughout Europe, no-one was spared, and Catherine does a very strange thing. 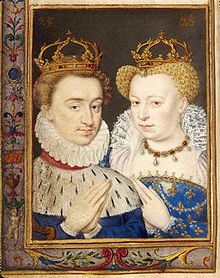 She marries off her daughter Marguerite to Henri of Navarre the son of the Protestant Bourbon family. 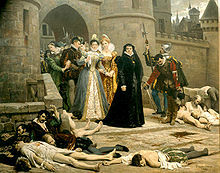 Nobody is sure exactly where things went wrong, but what was to have been a jolly wedding reception with the opposing religious factions united for once, turned into one of the most horrible bloodbaths in French history, called The Night of St. Bartholemy. Needless to say things went from bad to worse from here on. Shortly, Charles IX dies, and is succeeded by Henry III, who also dies without any offspring. This leaves our Henri of Navarre, the Bourbon, in the succession, but he is still a Protestant. 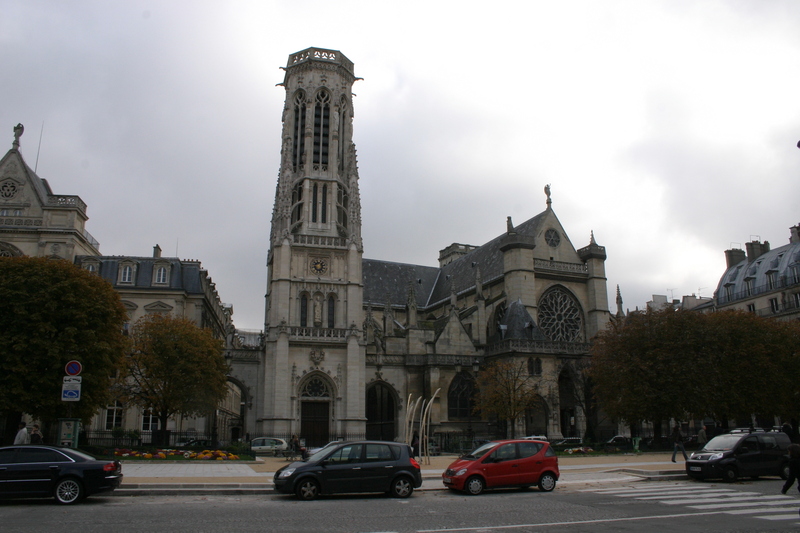 If he wants to be king of France, he must convert, and he does, so he converts. But the coffers are empty again, so he does what all kings did in those times – he marries a rich Italian heiress (he has divorced Marguerite by this time), once again a de Medici, Mary. Mary’s first child is a boy, the future Louis XIII, but she also has to play the role of regent for her underage son when Henri IV dies at the hands of the religious fanatic Raveillac. The spot is marked by a plaque. Raveillac is drawn and quartered in public. 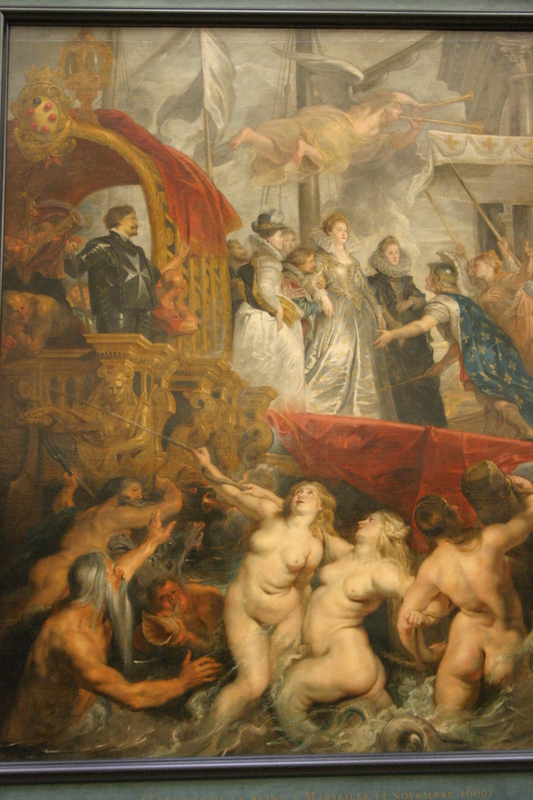 In her later years this Medici, who brought with her the fine rich tastes of the Italian millionaires, instructed the painter Peter Paul Rubens to paint a series of large paintings that record her life in every opulent and imaginative detail. 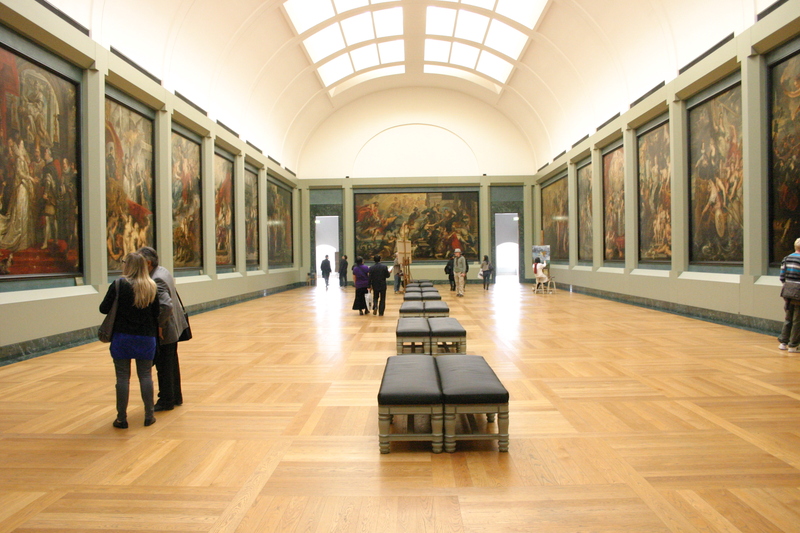 These paintings are my favourite pieces in the Louvre, and they have their own huge hall, just as she envisaged it. She built herself a beautiful home, the Palais Luxembourg, with its large gardens that reminded her of home.